Veripress / Serendipity Blackmagic w/Soft Proofing Add-on 7.1.02+ adds a Default Press option to Jobtickets used for soft proofing. When a Default Press is assigned, any jobs submitted via the Jobticket will open in the SoftProof window using that Press, overriding the default press settings. 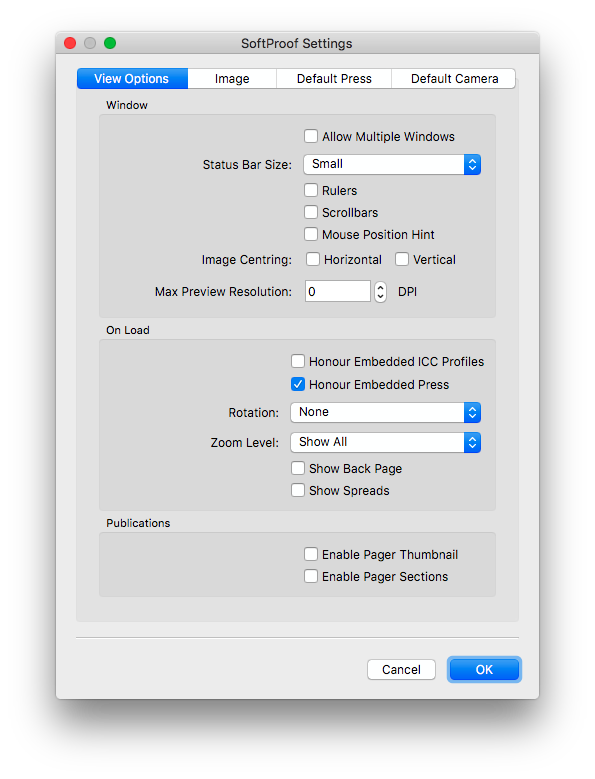 This feature allows pages for publications printed using multiple stocks, to automatically load in SoftProof using the assigned Press, without the need for an operator to manually switch the Press configuration for certain pages. Open the Workbench application and select the Jobticket. Select the SoftProof Options panel. Click on the Default Press button. Select the required Press from the pop-up chooser window, then click OK. Select the File menu > SoftProof Settings option. Select SoftProof Settings > View Options tab. Tick the Honour Embedded Press checkbox option in the On Load panel. Note – Jobs submitted for soft proofing to a Jobticket without an assigned Default Press, load using the SoftProof Default Press as normal. This entry was posted in Blackmagic, Veripress and tagged Version 7.1.01+, Version 7.1.02+. Bookmark the permalink.